I have big plans for this old cabinet in our cottage kitchen. It’s been painted, but still needs a new top, so I won’t be sharing the finished project until, well, it’s actually finished. But for now, let me show you how I updated the hardware for about $1.00. I tested the handles with a magnet first to see if they were brass and could be cleaned up and restored to their original luster. (A girl can hope, right?) Well, I had no such luck. The magnet stuck, which means that they had been finished with a brass color, and maybe another color later, but the actual handle is only iron based. If it was brass, I would have cleaned it this way. I really didn’t want to spray paint these guys, mainly because they were boring, and fairly chipped up. I was also too lazy to replace them, because chances are I never would have found new handles with four holes in exactly the places I needed them. And I certainly didn’t feel like filling the holes on this piece, or spending money for new ones. 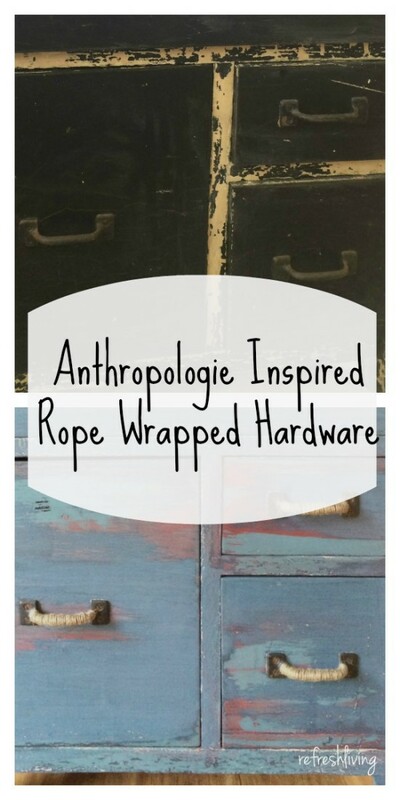 I gained inspiration from these rope wrapped handle pulls at Anthropologie. 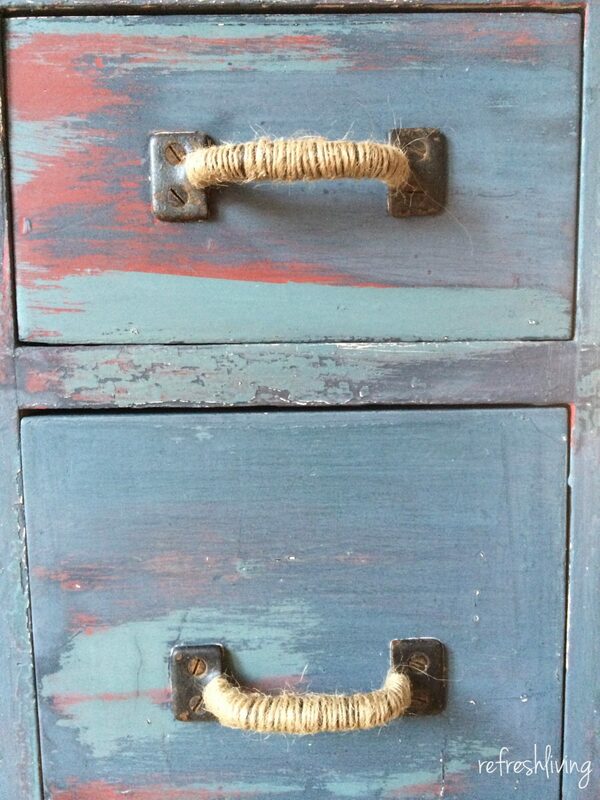 I used some Jute Twine *, but sisal twine would do the trick as well. 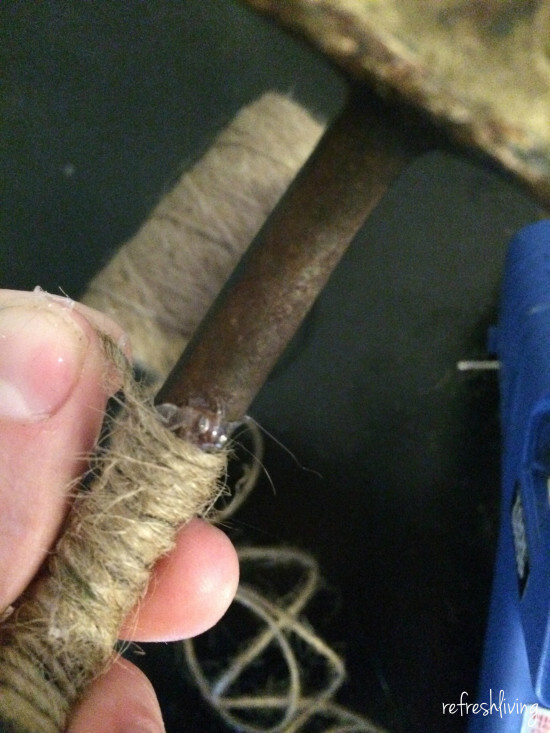 I hot glued a small piece of one end to the back of the handle, and wrapped the rope around it. Every few twists around the handle, I added a bit of hot glue to the back to keep it all in place. It was an easy, and extremely cheap update to these old knobs. Being that this piece is in our little lake house cottage, I think it gives the space the perfect little nautical touch. 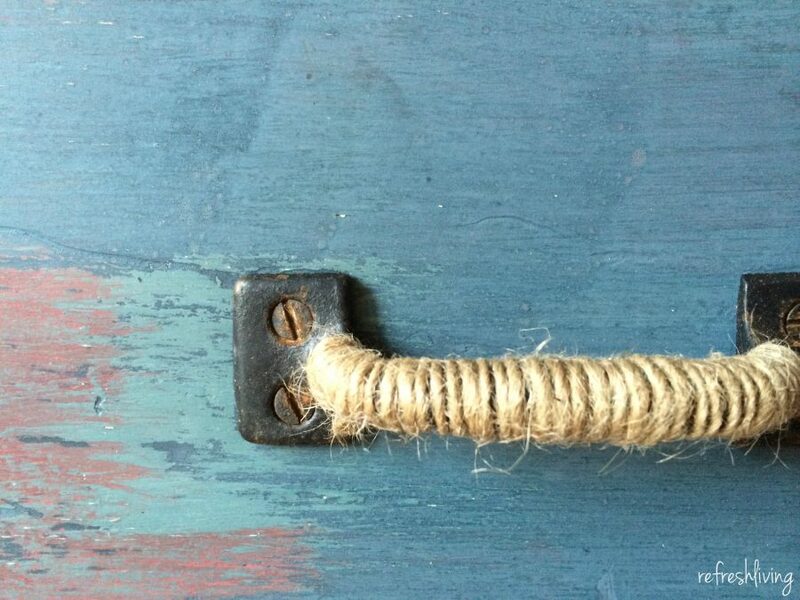 I really like the love the simplicity and look that the rope adds to the handles. Totally love the look, especially against the lovely blue. 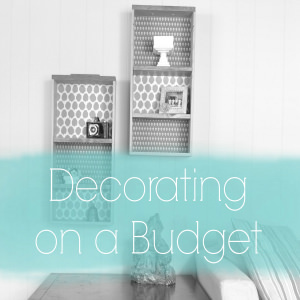 I did the same thing to some handles on a tray makeover…an easy project, albeit not a quick one! lol Hopefully you didn’t burn your fingers too much with the hot glue…love hate relationship there. 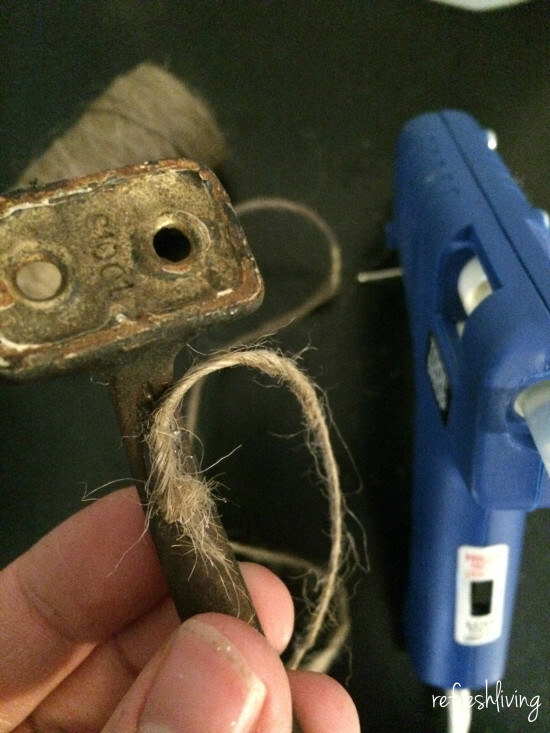 Yes – that hot glue! It only burns for a second, thankfully!! I love this! It fits the paint job perfectly (and I LOVE the paint job, by the way. Can’t wait to see it completely done!). I’m in the process of doing a nautical themed bedroom for my 2 year old and I might try to incorporate your rope-wrapped idea somewhere. It’s pretty amazing how many things you can wrap rope around! 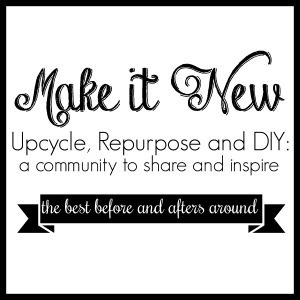 I just saw someone update an old lamp with wrapped twine. I can’t wait to see his room! 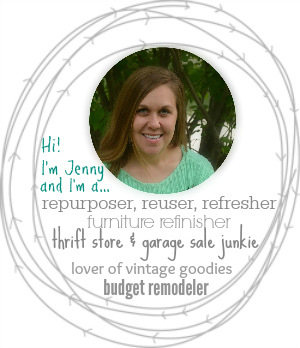 Hey Jenny – we loved this project so much we have chosen it as one of our features at Something To Talk About Link Party. You’re so creative…thanks for coming to the party! Thank you! I actually just saw a very similar version at Hobby Lobby this weekend, but mine were free, just the way I like it!